Kids aren't the only ones who can benefit from a summer reading assignment. As new parents soon find out, children don't come with an instruction manual. In fact, more attention may have been paid to getting ready for the birth than what in the world to do with a squirming, helpless infant who will require a daunting minimum of 18 years of assistance. There is no shortage of ink spilled on authoritative advice about what parents absolutely must do to ensure their children "turn out" well. But some books only serve to make a parent queasy with guilt, or more uncertain than ever, while offering little in the way of helpful advice. That's why we set out to discover what local child experts think are the most helpful guides for the growing-up years. 1. NurtureShock: New Thinking about Children by Po Bronson and Ashley Merryman. This is a research-based look at how to screw up — and not screw up — our kids. 2. The Narcissism Epidemic: Living in the Age of Entitlement by Jean Twenge and W. Keith Campbell. This book is few years old, but wow, is it still relevant to our times. 3. Outliers by Malcolm Gladwell. The takeaway message for parents is to relax. Your children's success isn't all up to what you do or don't do — there are a lot of other variables, like timing, luck and a lot of hard work on their part. I find this message refreshing in a time when parents are given the feeling that they will ruin their kids if they don't read to them in utero, feed them only organic food, or get them tutors when they are toddlers. 4. 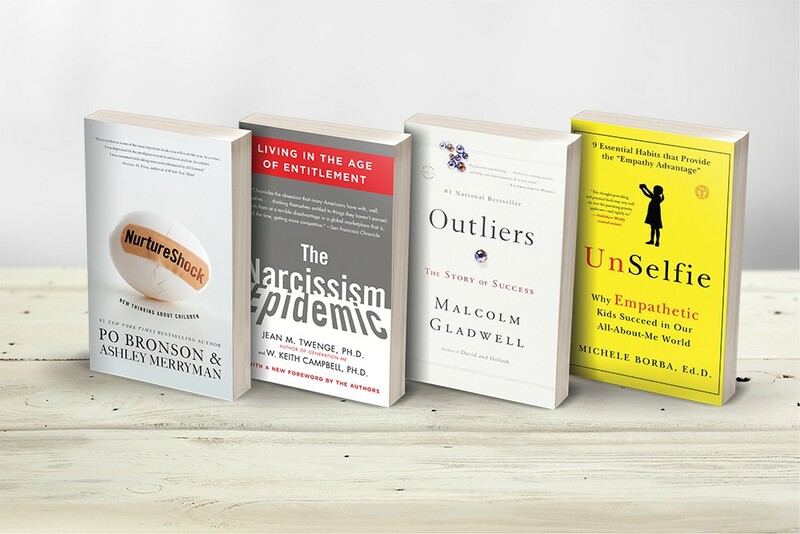 A newer book that is right on the money is UnSelfie: Why Empathetic Kids Succeed in Our All-About-Me World by Michele Borba. This book explores the importance of empathy for success, and as a foil for narcissism and entitlement. Although Dr. Stanley Olson has his own children, he's about to inherit a whole lot more when he takes over as interim superintendent of the Coeur d'Alene School District. 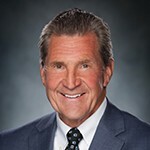 A former teacher, coach, principal, director of community education, director of communications, assistant superintendent and adjunct faculty member, Dr. Olson has 42 years of diverse experience with kids and families. 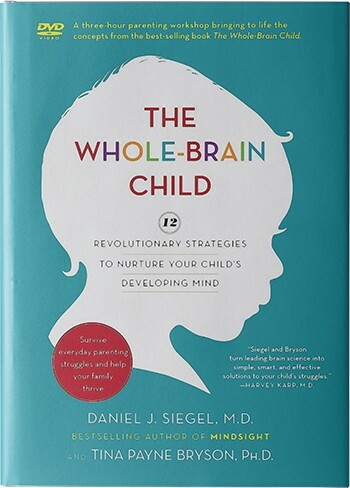 His pick is The Whole-Brain Child by Daniel J. Siegel, M.D., and Tina Payne Bryson, Ph.D.
"As parents, we know a good deal about our kids' bodies as they grow up, get hurt or sick, and change," says Olson. "But we know relatively little about how their brains are developing, and how that affects decision-making, relationships, discipline and self-awareness." The Whole Brain Child, he says, explains how the parts of the brain work together, all in an easy-to-read format that's funny and informative. There are even cartoon illustrations! The authors, says Olson, "walk the reader through such strategies as sharing stories to help calm emotions, setting appropriate expectations for kids, and tapping into memories to aid in growth and healing." Take a moment and ask yourself: What do you really want for your children? What qualities do you hope they develop and take into their adult lives? Most likely you want them to be happy, independent, and successful. You want them to enjoy fulfilling relationships and live a life full of meaning and purpose. Now think about what percentage of your time you spend intentionally developing these qualities in your children. If you're like most parents, you worry that you spend too much time just trying to get through the day (and sometimes the next five minutes) and not enough time creating experiences that help your children thrive, both today and in the future. You might even measure yourself against some sort of perfect parent who never struggles to survive, who seemingly spends every waking second helping her children thrive. You know, the PTA president who cooks organic, well-balanced meals while reading to her kids in Latin about the importance of helping others, then escorts them to the art museum in the hybrid that plays classical music and mists lavender aromatherapy through the air conditioning vents. None of us can match up to this imaginary superparent. Especially when we feel like a large percentage of our days are spent in full-blown survival mode, where we find ourselves wild-eyed and red-faced at the end of a birthday party, shouting, "If there's one more argument over that bow and arrow, nobody's getting any presents!" If any of this sounds familiar, we've got great news for you: the moments you are just trying to survive are actually opportunities to help your child thrive. 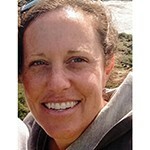 "Good sleep is crucial for physical and emotional health," says Nicola McLachlan, a pediatric nurse practitioner since 2003 who is currently on sabbatical from Coeur d'Alene Pediatrics and traveling the world with her husband and elementary-aged children. 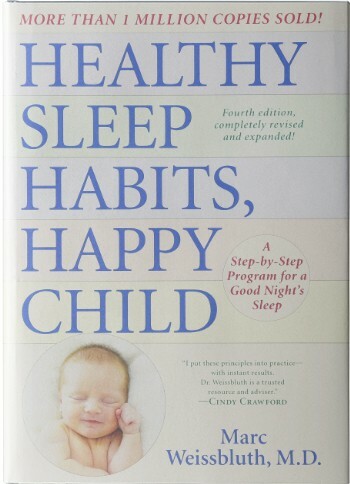 McLachlan recommends Dr. Marc Weissbluth's Healthy Sleep Habits, Happy Child, 4th edition, which covers infancy through adolescence. "When my own children were infants," says McLachlan, "I found this book particularly helpful, as it helped explain the sleep requirements for children with different personality traits and gave strategies to help infants and children with sleep for working parents. Now, as my children are approaching adolescence, I find myself going back to this book to understand their changing sleep patterns as their brains and bodies are growing." McLachlan, who has a Masters of Nursing and is a certified pediatric primary care mental health specialist, acknowledges that the book won't fit every parenting style, yet its research-based approach to understanding the physiology of sleep is vital. With healthy sleep, parents are better able to cope with many of the challenges they face. When families are well-rested, they are more able to prevent and correct the inevitable problems that will develop. In the pages that follow, I will gently and patiently teach you many such lessons and give you many tips so that when you come home, your newborn will sleep like a baby. Not just for the first days and weeks, but for months to come, setting a pattern in place that will extend throughout childhood... and beyond. When your child sleeps well, you, too, will sleep well, and as a result will be better able to nurture and teach your child, who in turn, will be better able to learn. Thus, healthy sleep has a mutually reinforcing effect that goes back and forth between parent and child, bringing out the best in everyone. As parents know, kids are not always able or willing to explain what's troubling them, leading to frustration all around. 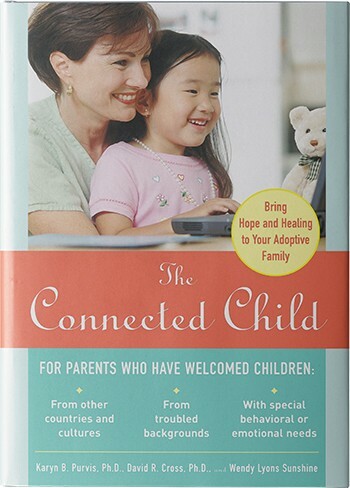 The Connected Child: Bring Hope and Healing to Your Adoptive Family by Karyn B. Purvis, David R. Cross and Wendy Sunshine helps parents clue into behaviors that might indicate a deeper issue, says Rosa Mettler. 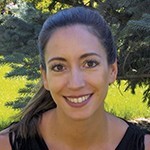 As the agency director for Children's Village, a Coeur d'Alene-based residential home for children in crisis, Mettler has definitely seen her share of deeper issues — abuse, trauma, neglect, the impact of family homelessness — and recommends The Connected Child as a resource for caregivers working with adopted and fostered children. The book, explains Mettler, "focuses on understanding children from 'hard places,' challenges they may face based on developmental deficits related to abuse, neglect and traumas, as well as teaching skills for easy, at-home implementation." Trauma, she adds, might be direct or indirect, systemic or situational, such as an incident of bullying. Included in the book are easy-to-use checklists for parents and caregivers to better observe behaviors that might indicate problems. It also gives strategies for dealing with such challenges as learning or behavioral disorders, as well as affecting non-threatening discipline and building and enhancing trust. 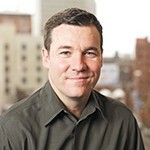 "It's all about how you help them feel secure," says Mettler. We have watched children and their families make tremendous progress in surprisingly short periods of time, but sustaining those gains takes commitment and a fundamental shift in parents' perspective. Instead of seeing yourself as a the victim of a pint-sized terrorist, begin seeing your role as a compassionate, nurturing guide and ally for your little one. Respect and honor the child's needs, even when you don't entirely understand what drives them. We never accept hurtful or wild behavior from a child — but we also do not punish, reject, or bribe because those strategies don't build long-term success. Instead, we calmly and firmly interrupt bad behavior, identify the need that drives this behavior, show the child how to achieve his or her goals appropriately, and then praise the child for doing so. Once you see yourself in this role of mentor, encourager, and protector, days become filled with opportunities — opportunities to show your child how to correct his mistakes, to practice doing the right thing, to communicate needs with words instead of behavior, and to get positive feedback for his efforts. As you help your child build social skills and feel safe in this world, you earn his deep trust. When your child feels truly safe, doors swing open to positive change.